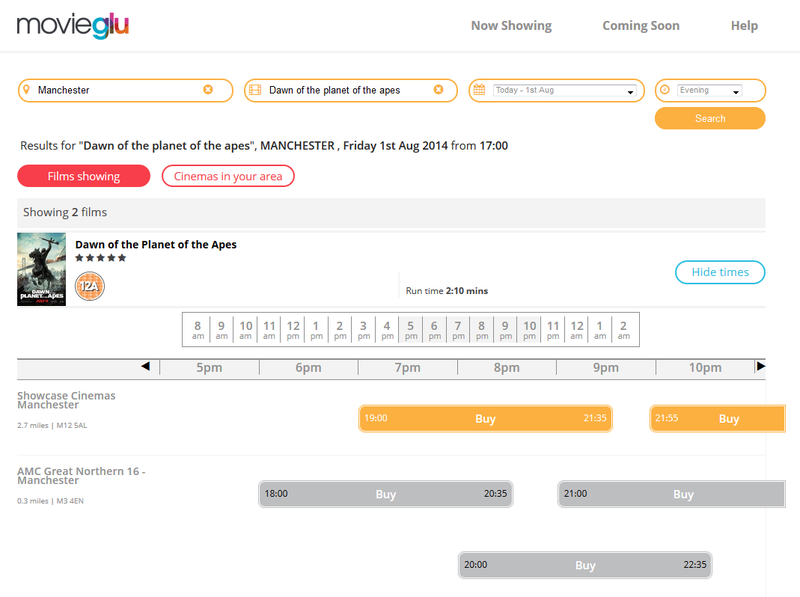 After many months of planning, design and development, we have launched the MovieGlu Beta programme today. For those of you who don’t know, a Beta programme is simply a period where a website or other software gets tested by a small group of people who provide feedback, find bugs and make suggestions. We’ve already got some great feedback in the first couple of hours since making it availble. We already know that there’s a lot more work to do before MovieGlu is ready for consumption by the general public – but this is the first big step along that journey. Right now, MovieGlu only works with desktop browsers and tablets. We’re busy working away on a version for mobile phones too, and will announce it as soon as it’s ready. If you would like to take try out MovieGlu for yourself, and take part in the Beta testing, just go to our website and sign-up there. We’ll then send you a username and password. Once the Beta testing period is over, anyone will be able to to use MovieGlu without signing in.